Hey there, my friends! 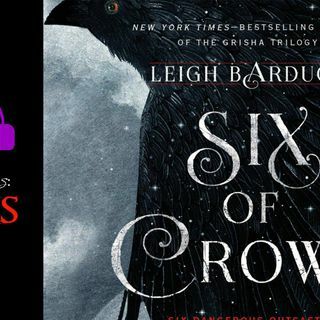 I'm here with the next episode of Six Of Crows and I want to thank Megan for commissioning the next installment, which I was simply dying to read. And this is a pretty long book, so there is still plenty left to go! These chapters are actually kind of moving because we get a better look at the players in the game and finally find out the really intriguing details of their histories. I'm a particular fan of Kaz's backstory, of course, because it's so ... See More heartbreaking and understandable. And I'm a huge fan of female friendships, so of course I'm delighted at how things are developing between Inej and Nina. I like Inej, but Nina is my particular favorite and the moment when she rips Matthias to shreds over him suggesting that maybe she shouldn't exist is really satisfying. Ugh. Screw you, Matthias.